I was recently asked what equipment is absolutely critical to me in my sweet life. Its an interesting question because I have only really begun to bake seriously over the last year or so. Before that, I would bake, but not with any real attempt at making and remaking the same recipe in the same way. I guess I was always comfortable with just winging it – which is fine. But if youre serious about baking, you do need a few serious tools – and a couple of fun things as well, just for the pure pleasure of it. An oven is (obviously) pretty critical to easy and happy baking days. You need an oven that fits your kitchen and budget, but is also the best you can afford. I like an oven that has the capability for convection too so things cook faster if youre making loads. I have a Rubine oven which I got on sale when I was renovating my house, but I dream of a big Viking oven – possibly even a double or triple one! Ahh, if I had the budget, and more importantly, the space. But you do with what you have. Make sure your oven is sturdy, has a good warranty, and is roomy enough to bake the things you love. It is absolutely critical to have a good oven thermometer. 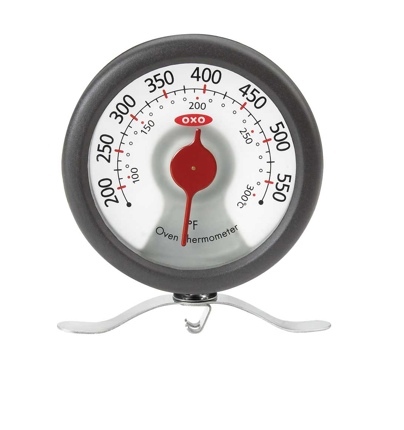 I have an Oxo oven thermometer, and I use it every single time I bake. When a recipe calls for preheating the oven (as most do), you must allow the oven to come up to the right temperature before putting in your creation. If you dont, you mess with the science of baking, and you can get very poor results. I never knew when my oven was at the right temperature (or in fact, if it was running too hot or cold). My oven thermometer helps me regulate the heat in my oven, and know the timing of when to put my baking in. I could not do without it. And just a note here. I really like the Oxo brand of baking equipment. 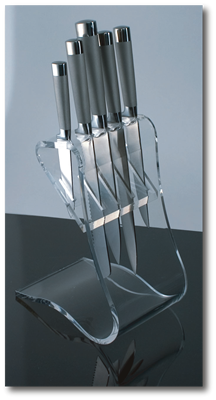 They are well designed, fairly priced, robust, easy to use, and very reliable. I love the measuring jugs for their flexibility and cleverness. I love my Oxo electric candy thermometer, for example. It helps me regulate the temperature for candy making, custard and ice cream bases. I would not do without it. When I first started baking, I had a few baking sheets that I purchased in the supermarket. They tended to buckle in the heat of the oven. When I got serious, I started to read reviews online – particularly those at Cook’s Illustrated. I ended up getting two Vollrath Cookie Sheets – huge sheets, with shallow curves on the short sides. My oven is small enough that the sheets actually slide into the grooves and thus dont need to sit on the racks. They are wonderful. I use them all the time. For baking, but also for prep work. They can be lined or unlined, and the cookies or baked goods still have minimal sticking. They are amongst the best investments I have ever made. I also have several large baking sheets/pans, with a shallow lip all around, a bundt pan, a few tart pans (including one that has a removable base), a few glass baking pans, a square pan, two muffin tins (for cupcakes as well as muffins) and quite a few round cake tins in various sizes. Ive collected them over the years, and use all of them constantly. These days, I pay attention to build quality over anything else. I would rather buy one very good baking pan which can be flexible, rather than four or five single use pans which will warp, pit, or conduct heat unevenly. I find that for fairly priced baking goods, Ikea is a great bet. If you bake, you need cooling racks. These racks, which sit on a flat surface, are used to cool the pan/dish/ingredient once it comes out of the oven. If youre icing a cake or using any liquid (syrup or chocolate for instance) over a finished baked good, a rack is also useful, set over parchment paper or a baking tin, to allow any extra liquid to drip off. I have four or five of them, and have had them for so long, I cant remember where I got them! I could not live without my KitchenAid stand mixer. I use it almost every time I bake. It is a workhorse, and makes life so much easier and happier. It is heavy, easy to clean and totally reliable. I love the level of control I have with it. Given that, as I am beginning to make macarons, I am going to invest in handheld electric beaters with flat blade whisks. Apparently, these are best for whisking macaron batter! OK, I admit it, I am a wee bit of a collector of kitchen kit. I admit it, and yet oh I love them all. 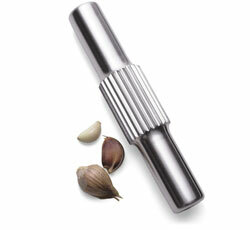 I have a small grinder – for nuts, coffee beans, chocolate and spices. I also have a Cuisinart food processor which I use for easy quick puff pastry and doughs, and to grate, chop and mix with speed. I also have my beloved Kenwood immersion blender which I use to liquidise fillings and toppings. I am lucky that I dont have to choose between them! I love my whisks. 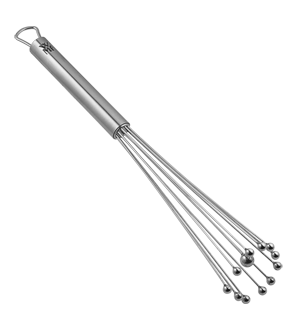 I have a heavy duty balloon whisk, for whipping cream, hand whisking batters and setting up icings. I also have a smaller whisk, and a sauce whisk which is flat. I dont like the non-stick whisks, but this is totally personal preference. I have three heavy duty spatulas, which I use for everything from smoothing icing to stirring batters, and I also have an iSi silicone spatula scraper which has become like an extension of my hand. If I had to chose just one spatula, this would be it. 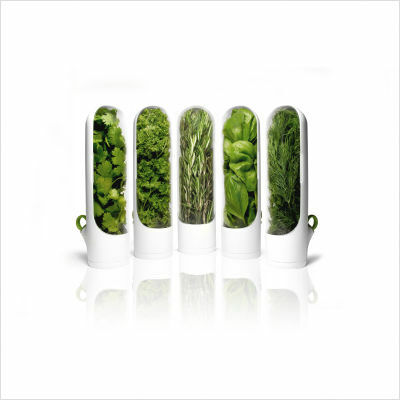 It scrapes out bowls, mixes, stirs, smooths … everything! And because you hold it in the palm of your hand, its very intuitive. I also have several offset spatulas, with stiff metal blades, offset from the handle for easy workings. To be honest, I cant even remember where I got them – I have several different sizes and lengths – but I use them for everything from removing cookies from the sheet to smoothing icing and fondant. An important instrument in the baker’s arsenal! And I have a few mixing spoons I use all the time, in particular a Tovolo silicone mixing spoon which I find to be very hardy – I use it when I stir candy, melt butter or chocolate, and for stiff batters or to integrate egg into a batter. I also have several hand made cherry wood spoons by Jonathan’s Wild Cherry Spoons which I got at Dean and Deluca in New York. I bought these as gifts, and regretted that I did not keep one for myself! So when I was in New York recently, I made sure to get a few. I love them, and use them all the time. I have four stainless mixing bowls – two large and two small. My favourites are from Ikea – they have a rubber bottom, which is useful to make sure that the bowl doesnt slip and rubber lids which makes storage in the fridge simple. 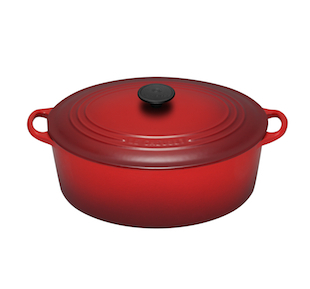 But I also love my small stainless bowl which has a very wide rim – it sits perfectly on my saucepan, and is what I use to melt chocolate or butter. I prefer stainless to plastic or melamine bowls, but again, its a matter of preference. I also have several small bowls which I use for mise en place – prepping ingredients before actually starting to cook. Very useful, and indispensable when you need to be quick and focused. I used to have a very cool looking manual scale, but I rarely used it. I never believed it was accurate, and I could never really judge small increments of weight (which you need to do with some degree of accuracy when you bake). Every time I start to bake (and actually, most times I begin to cook), I pull out my Oxo digital scale. It is brilliant. 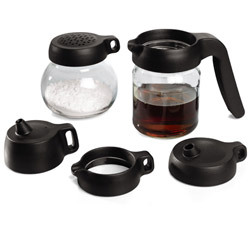 Easy to use, incredibly sturdy, simple to clean and it has the choice of ounces or grams. I love it, and use it every day. Many cooks prefer to have two sets of measuring cups – dry cups, which are traditionally a scoop variety and liquid measuring jugs. They measure the same volume, but some people find it easier to scoop dry ingredients. I am not one of those. 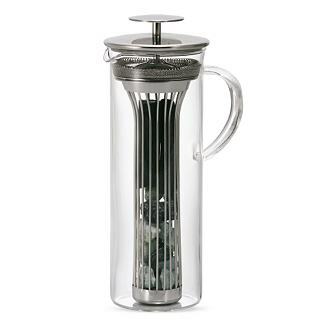 I have two measuring jugs (4 cup and 2 cup) by Oxo which I use constantly. I love them because they also give liquid measurements along the sides (fluid ounces and milliliters) and they have a solid rubber handle. They pour very well, and are easy to control. I also have one glass measuring jug which I use particularly if I have sticky substances like honey which need to be measured out. I like measuring jugs more than the scoop cup because I often use them as small bowls as well. I can measure out my flour and add the baking soda or powder, spices or salt, directly. All my dry ingredients can usually be combined easily in my 4 cup measuring cup, and this saves me quite a bit of washing up! Accuracy is critical in baking. Often you are required to add a teaspoon of this, half a tablespoon of that. When compiling my recipes, I have found that measuring spoons are vital in ensuring I can replicate my recipes exactly, over and over again. I used to have tons of measuring spoons – heart shaped ones my sister gave me, cheap plastic ones, flimsy round ones. They never really did it for me. But I adore my new set – five stainless steel measuring spoons by Progressive International. These are double spoons – one side of the spoon is round and the other is oval. I find it useful to have two versions of a particular measurement at hand at all times – this makes it easy if I am measuring liquid and dry. The spoons are heavy duty and very accurate. Dont get me started on my knives! Its an obsession that makes me happy. But for baking, I really only use two knives. For larger jobs (chopping a big amount of chocolate or speeding through nuts and other hard ingredients), I use my Shun Santoku Knife. I really love that thing – solid, heavy, sharp and totally reliable. 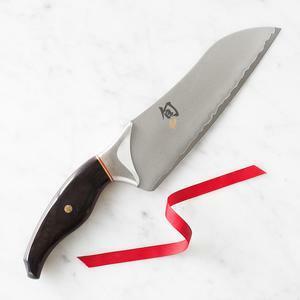 But more regularly, I use one of the three small Kuhn Rikon non stick paring knives which I have in a variety of colours. I like these knives. Theyre not “serious” knives in any sense – theyre light, theyre not crazy sharp, and they come in a variety of silly patterns and colours. But theyre very useful in the baking kitchen. They are small workhorses – they pare, peel and slice with ease, they are non stick, so they work through sticky substances easily and well. Clean up is a breeze too! These are some of the items that I have found I use all the time when baking. Dough Scraper and Chopper – again by Oxo, with a solid rubber grip. 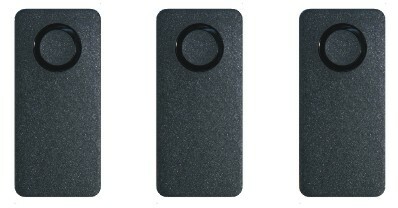 This scraper has a flat edge, so its not useful for for scraping down bowls. But it comes into its own when scraping dough off a flat surface and when dividing dough. Rolling pins – I have several, most of them wood. 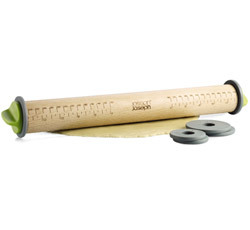 Rolling pins are critical when you need flaky crusts, or are working with fondant. 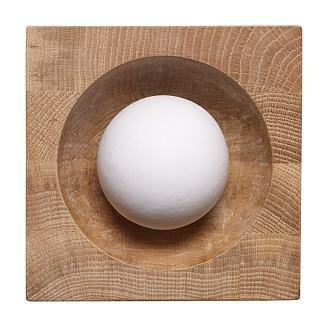 Chopping boards – the more solid the board the better. I have two extremely solid plastic chopping boards, two heavy wooden boards and a small one for little jobs. 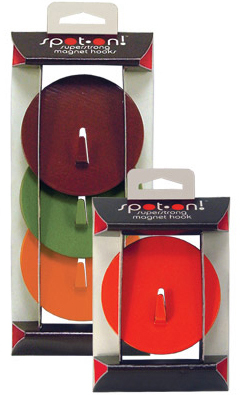 Cake Lifter – a large metal wedge, which lifts and moves cakes with ease. I love this thing! It makes broken cake layers a thing of the past. Small Silicone Molds – for whimsy and fun, I have quite a few silicon molds which I bake little cakes in. Pastry bags and tips – I never saw the use of these until I became serious with my baking. Now, I love them. The control that pastry bags give, with icing and batter, is unequalled. I use Ateco lined bags and tips, and I adore them. 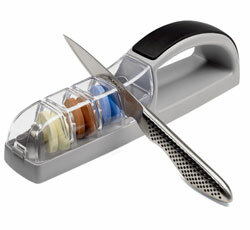 Microplane zester – I use this zester for oranges, lemons and lime zest, and for spices like nutmeg or cinnamon. Simply the best. Microplane coarse grater – I use this for grating butter into flour – the perfect way to get flaky crusts, pastries and scones. Sieves – I have several sieves – small and large metal, a flour sieve and a nylon sieve. All useful in my kitchen. 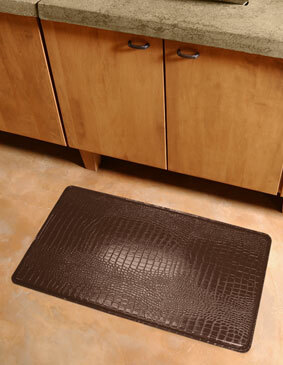 Silicone baking and rolling mats – durable, easily washable, and very useful to prevent sticking of dough, cookies and fondant. 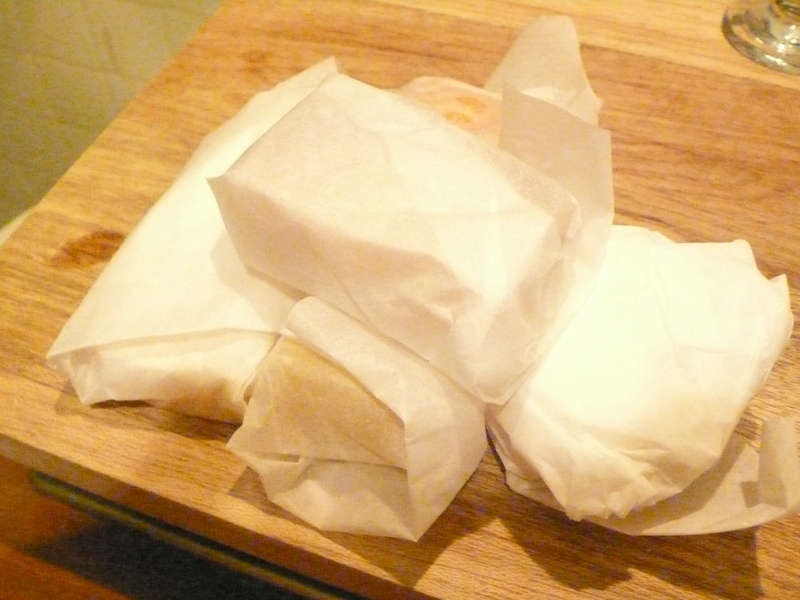 Parchment paper – I have huge, professional reams of this. I use it every day. From lining a baking pan, carrying and measuring ingredients, storing and wrapping. I could not do without it. Boxes, bags and cake plates – I have found that as I bake more often, and as gifts, I need little paper boxes, bags, cake plates. 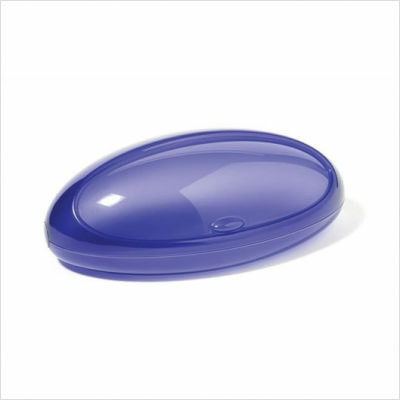 They are so useful because they help to transport the baked goods easily, make gifts a cinch and you never have to worry about getting your favourite plate or container back! Finally, I think one of the most non-negotiable parts of the baking kitchen is not in the kitchen at all! You need a good source of high quality baking equipment and ingredients. I have spoken about Bake with Yen in a previous post, and I like them for the basics of baking. But recently, I was introduced to PastryPro and I think I have found my version of baker’s heaven. This place is amazing, and I will do a full review of it soon. 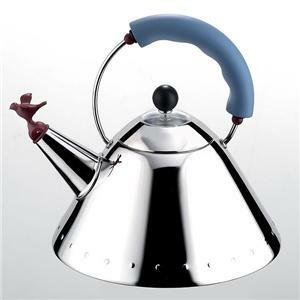 But for baking equipment, and staff who know exactly what they are doing – this is the place. Its a great source for the professional and home baker because they have everything you need, from equipment to ingredients to toys, all under one roof. Find a baking shop, either online or near you, which professional bakers use, and make friends with the proprietors. They will give you good solid advice, and you will be able to source quality equipment at great prices. Baking requires a lot of patience and focus. And though this list I have made may look overwhelming, it is by no means exhaustive. Do remember that this list is the result of a passionate cook married with the spirit of a hoarder. I have tried to be restrained (probably failed miserably) but these are the things I use and love all the time! It might sound like a minor episode, and in reality, it was, but it was also an empowering experience. Shopping truly for myself, and my tastes. For my desires and my comfort. Mindblowing, after a life of cooking and feeding everyone else. I think that is when my commitment to being a vegetarian really sunk in and stuck – because I did not have to do it for anyone else but me. I suppose the reason I am telling this story now is that this blog is intensely personal as well. I cook what I like, when I like (to paraphrase Steve Biko). I cook to share, of course, and as an extension of my loving for family and friends, but also because cooking is me. And I cook because its what I love, and where my passion lies. Goddess, I love this stuff. I use it every single day, for something or another. 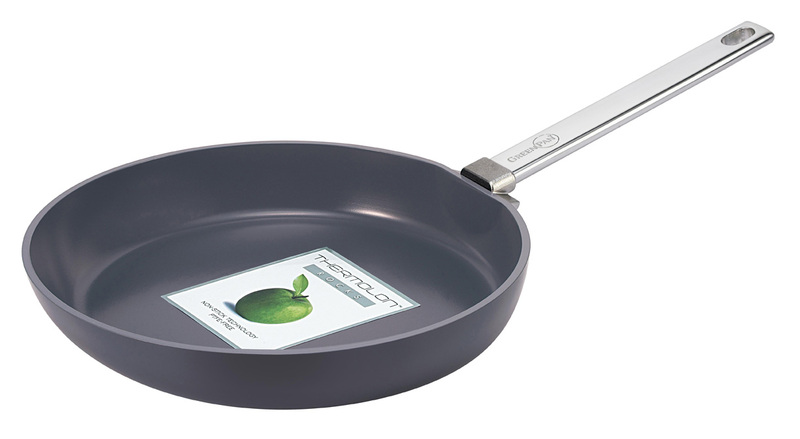 Its such a simple kitchen staple, and until I really started cooking on a regular basis, and for my own whim and fancy, I didnt realise how much I used it, and relied on it. I like it better than plastic wrap or aluminum foil because its paper – much more environmentally friendly to throw away (some bits can even be recycled) and much better chemically when interacting with hot, soft, wet or otherwise foods. I use greaseproof paper to line my baking tins for everything from cookies to roasted butternut. They are a wonderful means of preventing that sticky gooey mess that ends up at the bottom of the tin and that takes hours to clean. They are a brilliant way to ensure that cookies and cakes bake evenly, and dont stick to the pan. I used to think it was a waste to use baking paper on top of a perfectly good baking tin – but I used it once – in response to strict instructions in a recipe – and have never looked back. I use it to wrap all my cheeses in comforting, organised little packages. I hate the plastic cling wrap or packaging that most cheese comes in these days. Once the cheese is open, the plastic encourages it to dry out quickly, or even for mold to form. I butter my cheese (I know, crazy, but it works) lightly to keep it moist, and wrap it in baking paper. It is fresh and delicious and there is so much less wastage. I use it to cover puddings or mousse or soups – anything liquid that will form a skin – when I store in the fridge. This little bit of paper (sometimes I oil it a bit so as to prevent major sticking) prevents the skin from forming, and makes me feel much happier than if I were to cover a hot liquid with plastic wrap. I always worry (I told you I was slightly obsessional) that the plastic will release toxins in reaction to the hot liquid, and that would be bad for the consumers (namely me and those I love). I use it around my cutting board, and underneath a bowl when grating cheese, to pick up the mess, and make for instant cleanup. Oh I love this stuff. 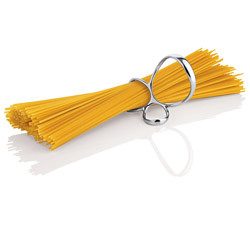 Its simple and inconspicuous, but its a staple I cannot do without. I have loads of fun toys and gadgets in my kitchen. Ive got my beautiful and deeply beloved Kitchen Aid Stand Mixer (I saved up for that baby, and have used her a lot), my Cuisinart food processor, and my professional ice cream maker (on sale, and adored). 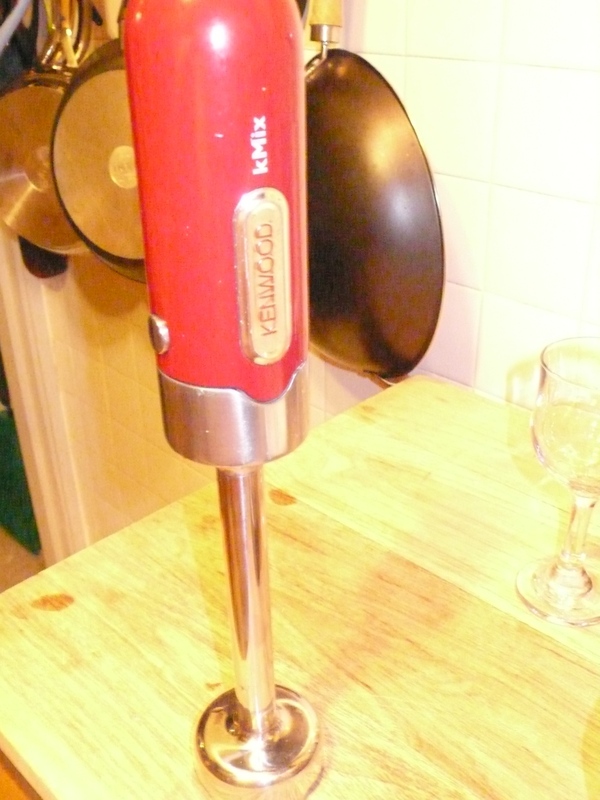 But the one thing that I have found I use all the time is my Kenwood cherry red immersion blender. I bought it on a whim because it was on (another) sale. I thought, this might be fun to play with at some point. When I unpacked it eagerly at home, the plug point wasnt attached, and I am not technical in that way, so I left it until I found a friend who would figure it out for me. I didnt really think it would get that much use in my kitchen, but to be honest, its the thing I turn to for most of my pureeing, chopping, mashing needs. I made the most amazing blueberry banana smoothie with my immersion blender – in seconds – and it just liquidised all that frozen fruit in the blink of an eye. I make the densest creamiest soups with it, I mash potatoes with it (they come out like silk if you use a deft touch, otherwise they can get a bit gluey), I creamed butternut and spinach for a pie and mixed them with sour cream — all using the immersion blender. When I first moved into my apartment, my landlady provided me with a fridge. Dont get me wrong, it wasnt an awful fridge. But it was definitely from the 1970’s, that particular vomity green colour that all major appliances had back then. It was very retro in not a cool way, and it wasnt very big. I could barely fit my juice and staples in, and I certainly didnt have enough freezer space for more than ice cubes and a carton of Ben & Jerry’s. I thank the good Goddess that this indispensable piece of kitchen equipment is par for the course. But when I renovated, I decided I deserved a larger fridge. I think I might have gotten my measurements wrong, or in my mind’s eye my kitchen was bigger than I thought it was, because this fridge just fit. I had to get things built around it, but I dont care! I love love love it. Its freezer is on the bottom – a clever bit of design, because you dont use the freezer as much as the fridge part, and so bending to check out whats in the bottom of the fridge lurking in the veggie bin, is a thing of the past. My fridge is full of stuff – my vitamins and staples (flour, sugar, salt – all of which I keep in the fridge because of the high heat and humidity here) – as well as food I have just cooked and am saving for friends to eat and taste – or thats waiting to be frozen for next week – and fresh fruits and vegetables waiting to inspire me. It gives me great satisfaction to look into a full fridge – may be its that Jewish-Muslim feeding people thing, but I love knowing that if someone drops by, I will always, always have something to offer them. 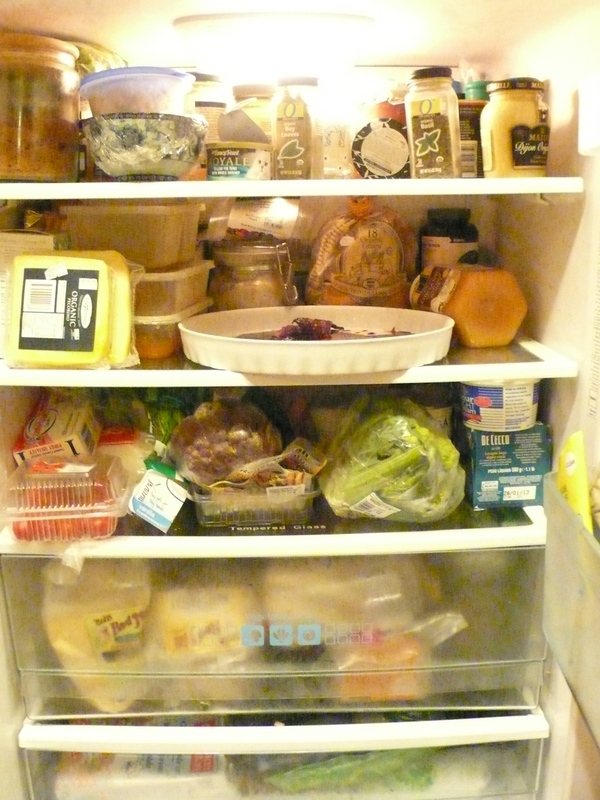 My fridge makes me feel safe (against hunger, because as anyone who knows me knows, I could just fade away! 😉 ) and satisfied. When I look in my fridge, I see all the things I have made (thats one last lone oven roasted fig in the centre, by the way, waiting for AngelKitten and Ezril), and I know that I have expressed my love and passion in a way that is distinctly me. I also am inspired. Sometimes I just look in the fridge and think… Oooh, I will make that today! Or I think, I need something soothing and quiet. And whatever my mood, I can always find inspiration there.